Greece is a country known for its history, architecture and beaches. The capital, Athens, is increasingly popular with tourists, and for good reason, however, there is so much more of Greece to explore. Follow our guide for exploring the culture and history of the whole country and experiencing Greece like a local. The tourist hotspots are popular for a reason, but if you want to experience the ‘real’ Greece, you need to stick to the areas the locals love best. Explore the scenic seaside villages, try local cuisine and learn to blend in with the locals. Make sure to brush up on your Greek before you go so you can better embrace their culture and lifestyle. The best way to discover the ‘real’ Greece is by travelling around, as you will have to chance to see a whole range of culture. One of the best ways to do this is to go Greek island hopping. Pick some of the less well-known islands, perhaps ones without an airport as this will guarantee they will be less ridden with tourists, and embrace the local culture and traditions. While they are wonderful places to visit, if you want to experience the ‘real’ Greece, avoid Santorini or Mykonos. 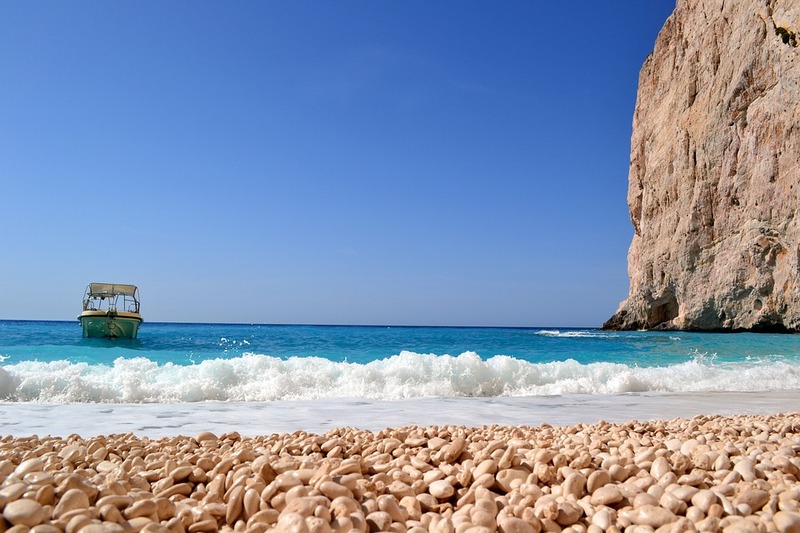 Instead, The Telegraph recommends Lefkas for its remote villages, mountains and beautiful beaches, or Lesvos is known for its hot springs and world-renowned olive oil and popular with classicists and birdwatchers. There are between 1,200 and 1,600 islands in total, so take your pick! The best way to experience Greece is from the water. Charter a yacht, which acts as your accommodation, your transport and your waterside sun-lounger, and explores a whole range of different islands when you book with us. Swim in the beautiful water, scuba dive and join in water activities before stopping off to see different islands. This is the perfect way to keep the whole family entertained. See sailing trips Greece to find a great deal on your next sailing trip in Greece. Don’t just observe Greek traditions on your trip but completely embrace them. If you are there at Easter, one of the most important times of the year in Greece, try and attend a Sunday service. You can just drop in as their services are far more flexible than our own. Attend a carnival, embrace local cuisine and respect their traditions. To be able to fully emerge yourself in Greek culture, it is essential you have some basic knowledge of their language. You don’t have to be fluent, but learning a few basic phrases will save you time and money and will improve your overall experience. It allows you to explore more and stand out less as a tourist. Try using a language app such as Duolingo or use the basic phrases printed in the back of most guidebooks. We hope this has given you some insight into the best way to explore the ‘real’ Greece. Take to the water and whether you prefer swimming, snorkelling or relaxing on the deck, there’s something for everyone.